Bruce McCaskill to lead the way for the company in Nashville, Tennessee market. I am eager to break into the Nashville market, and I look forward to assisting customers by utilizing Corus360’s technology, processes, and people. 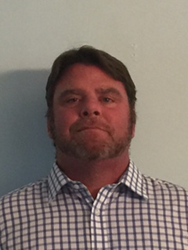 Corus360, and IT solutions provider based in Norcross, GA, welcomes Bruce McCaskill to the team as an Account Executive in Nashville, TN. McCaskill has worked in the field of Technology for over 15 years, helping customers reduce costs and increase revenue through aligning IT with business goals and objectives. Now, he will be using his expertise to gain a foothold in Tennessee, a region as yet unexplored by Corus360. “Bruce is just the right person to get us started in Nashville, and I’m glad to be able to say he’s on our team,” said Justin Hall, Vice President of Corus360. McCaskill is a resident of Franklin, TN, a suburb in Nashville, so he knows the area well. He has a passion for seeing to the success of his customers and works diligently to ensure that they receive the best care. McCaskill hopes to expand the Corus360 brand and form long term relationships with his customers. Corus360 is a technology consulting and solutions company with more than ten years of success delivering infrastructure solutions, recovery, and consulting services that help organizations reduce costs, increase efficiencies, and maximize productivity. We specialize in best of breed infrastructure solutions, IT management consulting, IT staffing, application development, Data Center technologies, disaster recovery, managed services, and enterprise applications. For more information, visit http://www.corus360.com.